The independent care sector in Scotland is struggling to recruit nurses due to unfavourable pay and conditions compared with the NHS, according to a new report. Scottish Care, the representative body for independent care services in the country, made the claim in its Independent Sector Nursing Data 2018 report. The document presents findings from a survey of 121 care homes in Scotland, carried out between September and October this year. According to the report, 91% of the care homes reported difficulty recruiting nurses because conditions, such as staff leave and sickness benefits, were better in the NHS. A total of 48% of the care homes surveyed said the pay difference between the independent sector and the NHS was also a factor in recruitment challenges. 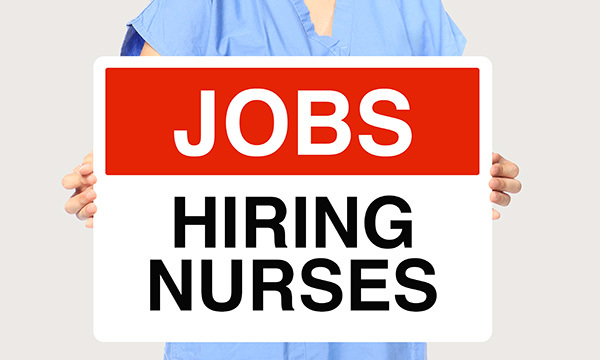 Nearly 20% of nursing posts across all the care homes surveyed are vacant, compared with 5.5% of nursing posts in the NHS. Nursing posts in the independent sector can take between six and eight months to fill, with some taking up to two years. An over-reliance on agency staff in the independent sector was also highlighted, with the report’s authors warning that care homes are compromising on investment and improvement due to the ‘inflated costs’ of maintaining a nursing service – with agency costs varying between £300 and £1,200 for an overnight shift. ‘Providers have articulated their strong belief that pressures around recruitment of nurses, and consequential use of agency staff, are making services unsustainable and that many are actively considering de-registering services,’ the report states. RCN Scotland director Theresa Fyffe said: ‘One of these issues would raise significant concerns, but taken together they paint a troubling picture for nursing and the care home sector. Ms Fyffe suggested that safe staffing legislation, which RCN Scotland is campaigning for, could form part of the solution. ‘The RCN is clear that the legislation must apply in care homes,’ she said. Last month a Scottish government committee said the proposed safe staffing bill required more clarity on who takes responsibility for setting workforce levels.